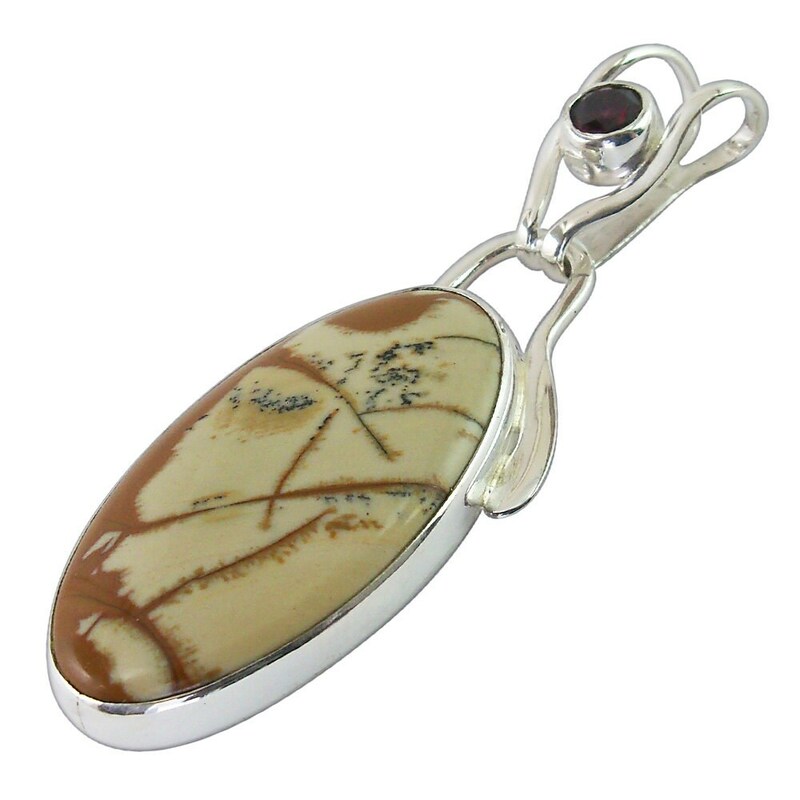 Owyhee Picture Jasper Pendant with Garnet gemstone accent set in Sterling silver, 22.19mm x 57.86mm. 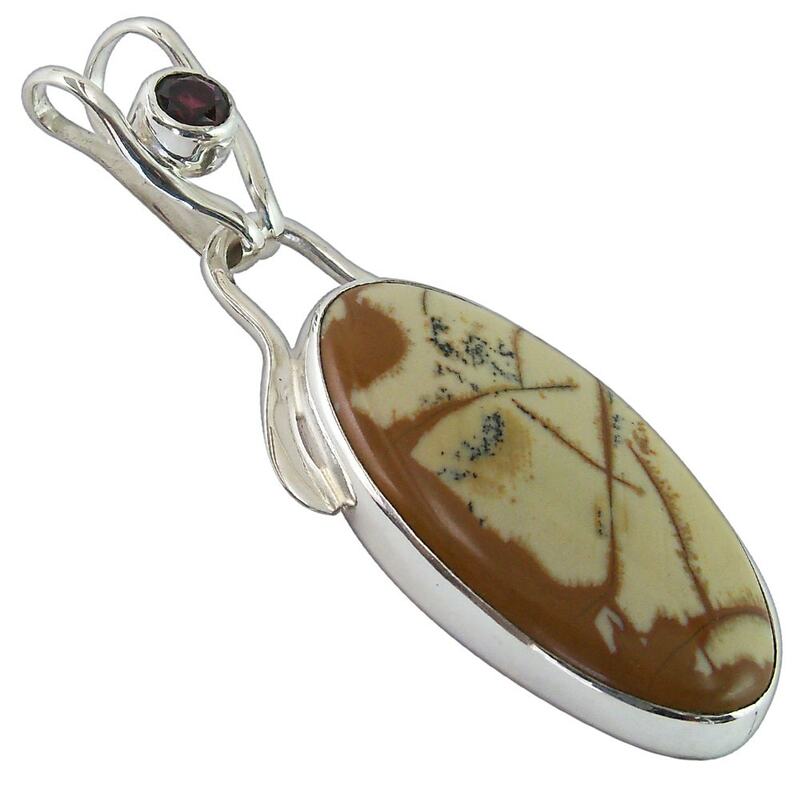 This is a one of a kind (ooak) creation using a picture jasper cabochon that I personally hand-cut, then hand forged the silver to take advantage of the beauty of the stone. I added a garnet gemstone to the mobil bale. The pattern in this stone reminds me of an abstract painting. There are three picture jasper mines within a mile of each other in the eastern Oregon/Western Idaho area, the Owyhee Gem, the Wildhorse, and the Rocky Butte. 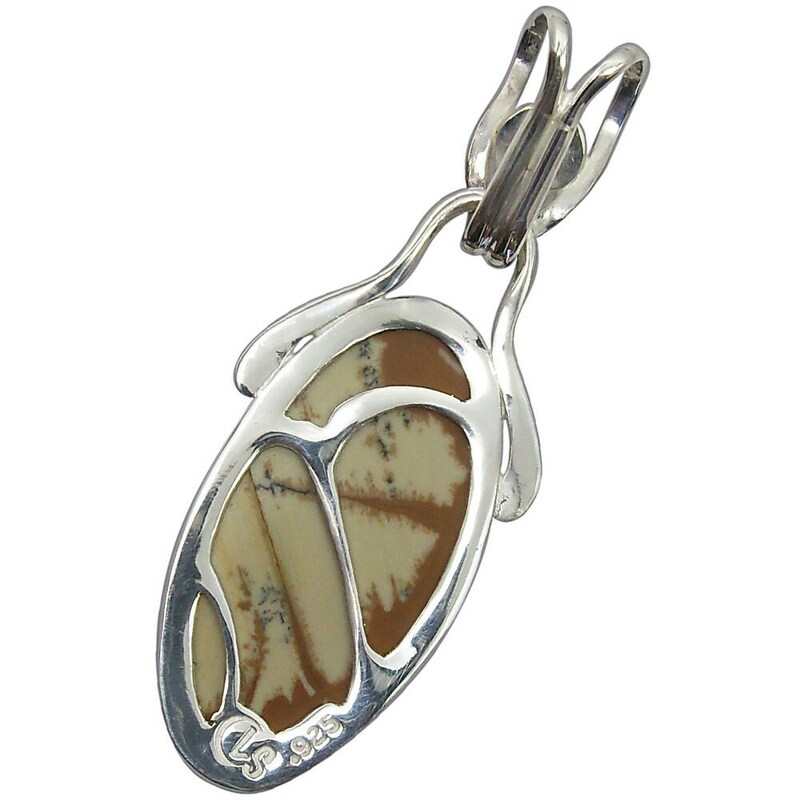 My cabochons are hand cut from rough stone obtained from these mines. The patterns form earthy landscapes and occasionally trees and other images. A great southwestern look. 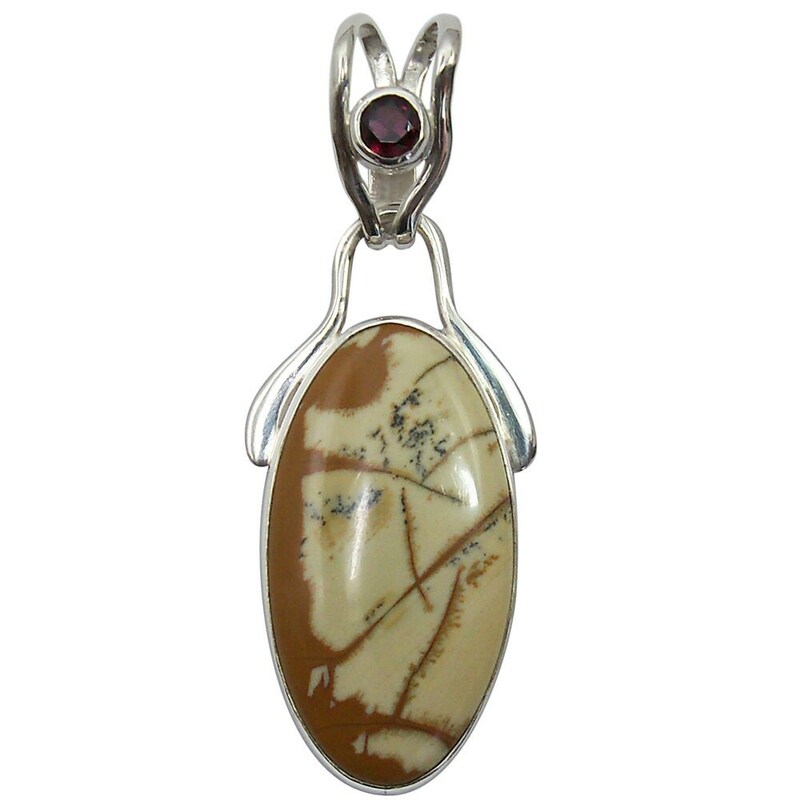 Jasper is composed mostly of chalcedony quartz and combines with other minerals that make unique, interesting patterns.